« The upcoming Leica M Monochrom Typ 246 camera to have a new 24MP CMOS sensor? Constructed from aluminum and brass and boasting the LC-A’s super-fast 4-step zone focusing system, a 32mm focal length, aperture control and Leica M mount. 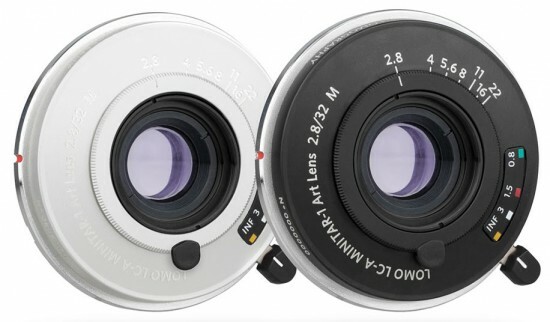 In addition to its 4-step zone focusing system, the Lomo LC-A Minitar-1 also features aperture control and range finder coupling. For the first time ever, the classic Lomographic style is available on a digital platform with the latest offering from our luxurious Lomography Art Lens Family, the Lomo LC-A Minitar-1 Art Lens! Lomo Goes Digital: Well, not exactly…but the signature vignetting, sharp contrast and gloriously rich character of the LC-A legacy can now be achieved on a wide array of both digital and analogue cameras. 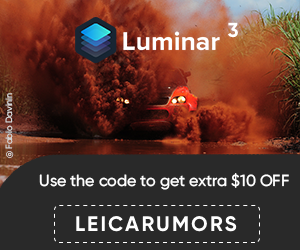 With the special quality of the original LC-A Russian optics, you can achieve the real Lomographic deal on digital — no post production fakery through apps or filters! The Embodiment of a Street Photographer’s Fantasy: Constructed from aluminum and brass and boasting the LC-A’s super-fast 4-step zone focusing system, a 32mm focal length, aperture control and Leica M mount, the Lomo LC-A Minitar-1 is the perfect lens for street shooting! Put it to the test in any situation — from lightning fast street sessions to low-light environments — and be amazed by the results. Its bright f/2.8 maximum aperture allows all of that natural, ambient light to come streaming right in. Freedom over the LC-A Experience: In addition to its 4-step zone focusing system, the Lomo LC-A Minitar-1 also features aperture control and range-finder coupling. Enjoy more freedom than ever before with the special quality and character of LC-A optics! Exceptional Features & Craftsmanship: From vision and inspiration to action and construction, we have designed the Lomo LC-A Minitar-1 with the utmost care. From the sleek black and silver models available, to the ultra-compact pancake design and universal filter thread, the features and specifications of the Lomo LC-A Minitar-1 Art Lens arrive nearly unparalleled on a broad field of rangefinder lenses. The Ever-Expanding Lomography Art Lens Family: Following the footsteps of the New Petzval and New Russar+ Art Lenses, the Lomo LC-A Minitar-1 is the 3rd lens to join the ever-expanding and exciting Lomography Art Lens family. With the New Petzval Lens, we reinvented one of the most important and interesting portrait lenses of all time. Next on the scene was the New Russar+ Lens, which returned a lens of paramount importance to the development of super-wide-angle photography. Now, with the Lomo LC-A Minitar-1 Lens, we’re delivering the Lomographic style to a brand new level of photography— digital! Every new Lomography Art Lens brings a whole new variety of creative possibilities to a photographer’s camera bag. No Art Lens is alike — each one offers the opportunity to get truly unique shots with a special optical character you won’t find with regular photographic lenses. With every Lomography Art Lens, we continue our unwavering commitment to producing new tools for shooting creative and experimental photos. 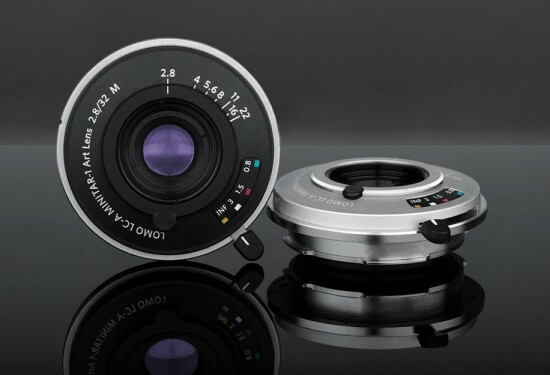 Pre-orders for the Lomo LC-A Minitar-1 Art Lens are on a first come, first served basis. Delivery is currently planned for July 2015. The pre-order package includes the Lomo LC-A Minitar-1 Art Lens featuring premium Russian optics, front and rear lens caps, a lens pouch, a photo book, a manual and a cleaning cloth. This entry was posted in Leica M and tagged Lomography. Bookmark the permalink. Trackbacks are closed, but you can post a comment.